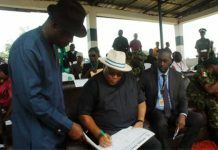 The Joint Unions of the Academic Staff Union of Polytechnics (ASUP), Senior Staff Associations of Nigeria Polytechnics (SSANIP) and Non-Academic Union of Education and Association Instiution (NASU) at the Rivers State College of Health Science and Technology have appealed to the State Head of Civil Service, Barr Rufus Godwins to implement the salary structure for staff of RSCOHST. 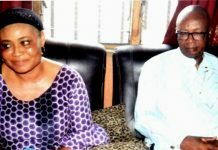 The three unions which made the call during a joint media press briefing held in Port Harcourt, Monday, alleged that the state government has directed the head of service to implement their salary structure in order to be at par with other higher institutions in the state and the nation. The union further alleged that since the governor sent the memo for implementation after their appeal, nothing seemed to have happened. The president of ASUP at the State College of Health Sciences and management technology, Port Harcourt, Com Igoma Promise accompanied by his colleagues from SSANIP and NASU told journalists that non implementations of the tertiary institution salary structure CONPASS for academic staffs and CONTISS for non teaching staff of the college had adversely affected them. “Our members are paid the salary structures of CONHESS, PMS and TSS as its obtainable in the core civil service scheme. Most of our members have Ph D certificate and their salary is poor compared with their counterparts in other higher institutions” he added. The unions also used the opportunity to appeal to the state governor Chief Nyesom Wike to urgently extend his developmental strides to the institution so as to address the infrastructural decay in the area and commended the governor for his commitment to the development of the state.